We have a range of industrial tools and fittings for sale, please check our other listings to see if we have anything else you require. 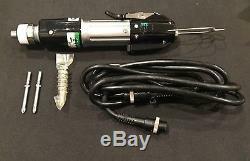 This listing is for 1 x Hios CL-6500 Production torque screwdriver. The item for sale is the one in the photos and is the one you will receive. Information about this particular unit. 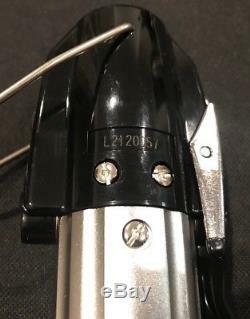 The body serial number is L2120057. 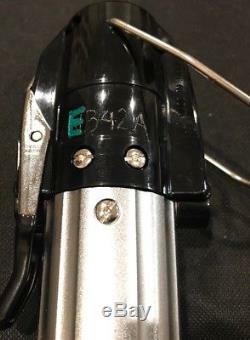 It has stock number "E342A" Engraved on the handle. 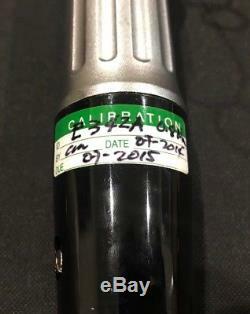 The screwdriver was calibrated in July 2014, after which it sat on a shelf as a spare. There are no spare brushes in the box. One each H5 shank #1 and #2 phillips driver are included. This is for the CL-6500 and pictured accessories. You will need a suitable power supply like the Hios CLT-50. If you would like any other photos or have any questions, please message us and we will get back to you. The below information is from the Hios website. Well suited for many kinds of operations requiring a wide range of torque values. With low DC voltage these screwdrivers can be used safely. The grip design helps operators to reduce fatigue caused by long hours operation. Start - Lever Start Type. Nm - 0.3-1.6. Torque Switching - Stepless Adjustment. Bit - +#1(5.0×60mm) +#2(5.0×60mm). The item "Hios CL-6500 Electrical Screwdriver 0.3-1.6 N. M Production Torque" is in sale since Wednesday, December 20, 2017.